For the last 25 days we have been unveiling a new bird here and on our Facebook page every day until Christmas. Today's final bird in our Birdorable Bonanza: Advent Edition is the Elf Owl! Elf Owls are tiny owls native to parts of Mexico and the southwestern United States. They are the world's lightest owls among the smallest. These little cuties are cavity nesters, using old woodpecker holes excavated in hardwood trees or saguaro cactus. Despite their size, Elf Owls are still fierce birds of prey, hunting for all of their meals. They feed on a variety of insets as well as small lizards, snakes, and even infant mammals like baby rats. Some Elf Owls migrate, while others are year-round residents. Birds that breed in the southwestern United States fly south for the winter. Birds that live in Baja California are non-migratory permanent residents in their territory. Our Birdorable Bonanza: 2015 Advent Edition is starting to wind down. Today, on Christmas Eve, we reveal our second-to-last Bonanza bird: the Bulwer's Pheasant! Bulwer's Pheasants are wildly plumaged chicken-sized birds endemic to Borneo in southeast Asia. They are found in highland tropical forest habitat, where they feed on ants, termites, seeds, and more. This species has several alternate names, including Bulwer's Wattled Pheasant, Bulwer's Fireback, and White-tailed Wattled Pheasant. Bulwer's Pheasants exhibit extreme sexual dimorphism -- male and female plumage varies significantly. Male Bulwer's Pheasants, like our cute Birdorable version here, have an unmistakable plumage. They have long and puffy white tails. They also have amazing bright blue facial wattles which can be distended during mating rituals. Females, however, have a mostly dull brown plumage. We've almost reached the end of our 25 day Bonanza! Tomorrow's bird is is a small owl that lives in the United States and Canada with a somewhat Christmasy name. Can you guess what it is? 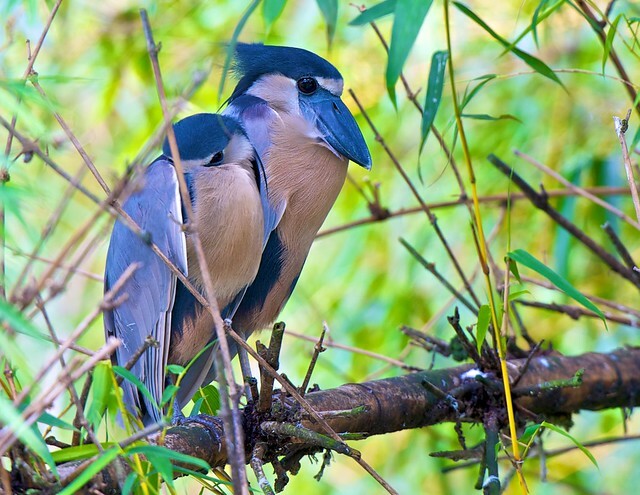 Boat-billed Herons are medium-sized herons found in parts of Central and South America. They live in mangrove forests and feed on a wide variety of food items, including tidal fare like shrimp, insects, and fish. 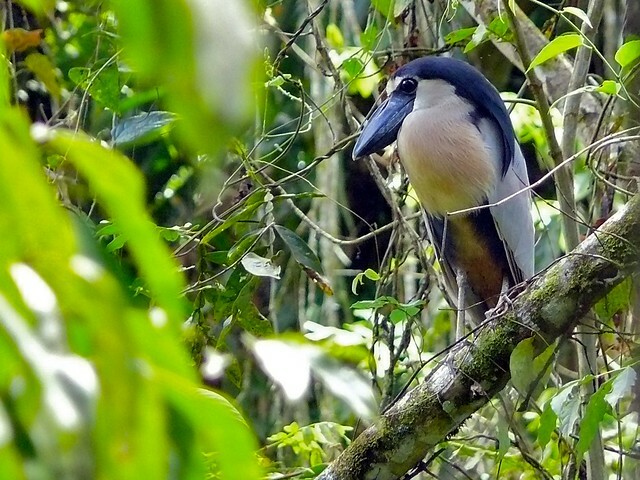 The Boat-billed Heron is named for its large and wide scoop-like bill. The top of the bill resembles the underside of a boat. The species is also known simply as the Boatbill. Boat-billed Herons are known for their courtship rituals. Pair-bonding displays include mock fighting, head crest raising and lowering, and bill duels. Tomorrow's bird is a wildly plumaged chicken-sized bird endemic to Borneo. Males have bright blue facial wattles. Can you guess what it is? Our Birdorable Bonanza: 2015 Advent Edition has just has a few more days to go! Today's new bird is a widespread species of plover: the Black-bellied Plover! 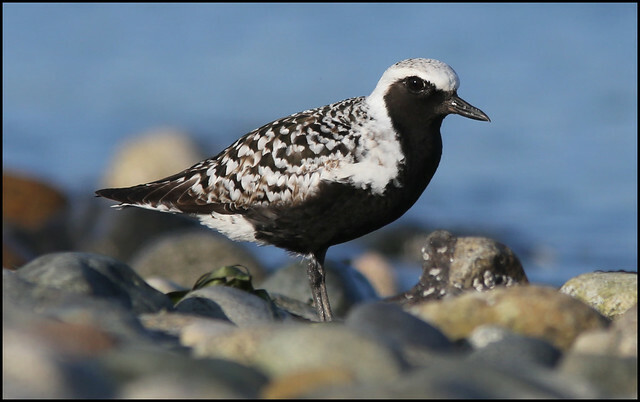 Black-bellied Plovers are medium-sized shorebirds that breed in the high Arctic, in tundra habitat. During the winter months, this migratory species can be found along ocean coasts all around the world. Black-bellied Plovers feed on insects and some plant material while breeding on the Arctic tundra. Their winter diet is very different, with coastal prey like crustaceans, marine worms and more on the menu. Black-bellied Plovers change their look along with their location throughout the year. Breeding adult plovers have a striking black and white pattern on the back with a white-bordered black belly, breast, neck, and face. During the winter the plumage is much more subdued, with greyish upperparts and dull white underparts. 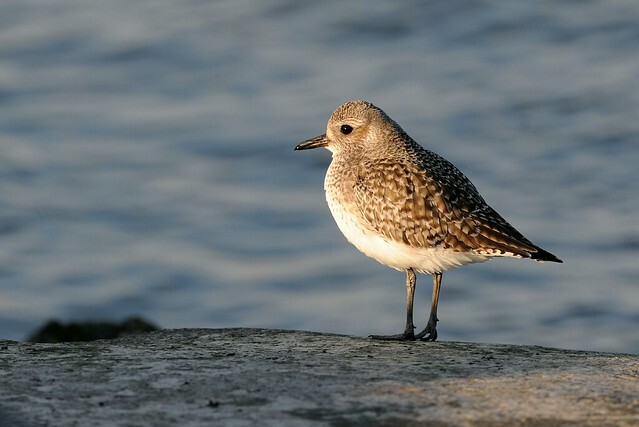 Outside of North America the species is known as the Grey Plover. The Black-bellied Plover joins Birdorable today as our 638th cute cartoon bird. Be sure to check out our selection of apparel and gifts featuring our Birdorable Black-bellied Plover. Tomorrow our Bonanza will reveal a type of heron with a very wide bill. Can you guess tomorrow's species? Spotted Towhees are large sparrows found in western parts of North America. They are closely related to the Eastern Towhee. In fact, the Eastern Towhee and Spotted Towhee were once considered to be subspecies of a single species: the Rufous-sided Towhee. Today the Spotted Towhee has at least 20 recognized subspecies of its own. 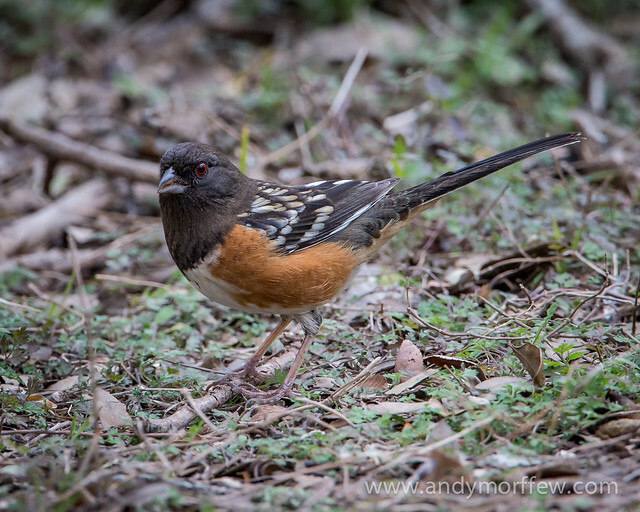 The Spotted Towhee spends a lot of its time close to the ground. They nest in low bushes or directly on the ground. Feeding also occurs mostly on the ground. They forage for insects like beetles and crickets, as well as plant material like seeds and fruits, by scratching through leaf litter. Some Spotted Towhees migrate, while others are sedentary throughout the year. Birds in interior parts of their range tend to migrate with the changing of the seasons; coastal birds tend to reside in the same location year-round. Depending on food resources, some non-migratory Spotted Towhees may make altitudinal movements throughout the year. Tomorrow's bird is a small songbird with a white head that can be found across parts of Russia and Central Asia. It is in the same family as titmice and chickadees. Can you guess what it is?